A copier lease can be a huge decision for most business owners. The expense can be daunting and there is a plethora of options that seem great for your business. How do you decide what you to get without spending too much money? Well, at Colorado Springs Copier we want to help you decide what to consider when leasing a copier. Leasing a copier generally is a balance of what your company needs, and how much you are willing to spend every month. There is something to fit every need buy do not get distracted with fancy functions that you will not use. Decide what your business needs are and stick to those needs. Do you need color in your copier? The price difference between color copiers and black and white can be astounding. The machine price alone won’t be worth it if you are printing black and white most of the time. Maintenance costs and parts cost more in a color copier because the machine is more complicated. 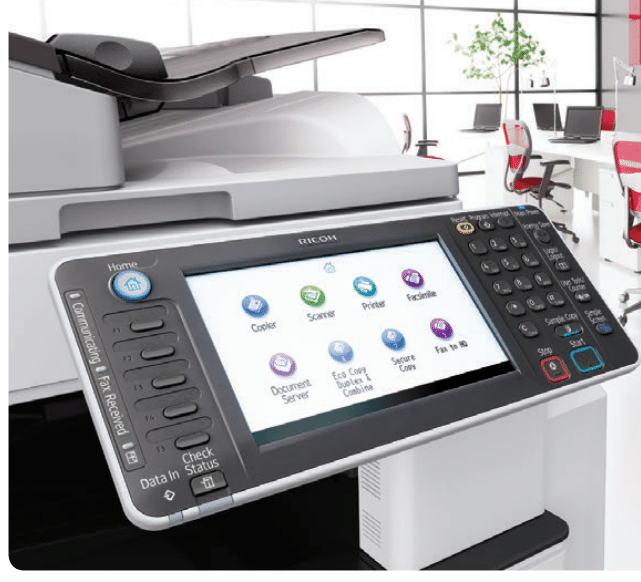 Color copiers do offer the option to add a lot more pop to whatever your business needs. If you are in marketing or media seriously consider if black and white will do everything you need. Should I get a copier with tabloid printing capabilities? Tabloid printers will cost you more. Like color copiers, there are more parts to a copier with tabloid capabilities and it will cost more to maintain. Tabloid Copiers look “more like a real copier,” than a copier without tabloid capabilities. Some people shy away from non-tabloid copiers because they think it won’t hold up to their needs, but usually they will work just fine. There are many things to consider when leasing copier and those decisions can either cost, or save you hundreds. At Colorado Springs Copier we do not believe in pushing you to the most expensive machine if it is not what you need. We will answer your questions honestly and help you figure out what you need. If you want to better understand your copier lease, or need help deciding what to consider when leasing a copier then please contact us today!